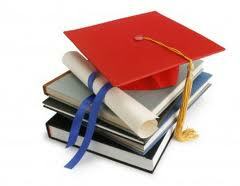 Education in Tamil Nadu, Tamil Nadu Higher Secondary Education, Tamil Nadu Education. Tamil Nadu is the state which is located at the southern portion of India. Generally, people from that locality prefer to speak their regional language. Thus Education in Tamil Nadu have got an influence of local languages. Apart from Hindi and English, people from Tamil Nadu also speak in Tamil and Telegu. But the Education in Tamil Nadu has a great quality. Today, people are having a wonderful culture and traditions as and when they make a wonderful association with their religion. People of Tamil Nadu are really concerned about their religion and customs. Tamil Nadu is also regarded as the most literate state of the nation. Due to an improved system of Education in Tamil Nadu, maximum people of the state have acquired their literacy level. As per the report published, the percentage of literate people in Tamil Nadu is 80.33% . This is also a level of literacy which is regarded as top rate in the nation. According to the gross enrolment ration survey conducted by an industrial body, Tamil Nadu has a record of 100% gross enrolment. The Government of Tamil Nadu has adopted national level pattern for the education system. Students will get eight years of elementary education. There after there will be middle level of education and then they have to go for higher schools. Education in Tamil Nadu has a wider impact on the primary students associated in the state. Pre primary classes are conducted with the students who have an age group from 3 to 4 years of age. Also the primary education is made stronger so that, the students does not face any difficulties in their later levels. Tamil Nadu has got various Colleges and Universities. The distance learning colleges and Universities have provided scope for not only the people of this particular state, rather the students from other states also comes down to Tamil Nadu for acquiring higher education. Some of the famous Universities are Anna University, Annamalai University etc. Education in Tamil Nadu are going for improvements.